Well, you’ve found it: Thompson Custom Bicycles’ own little corner of the internet. This is where to come if you want to know what I’m working on. Most of the time it’s a fine randonneur bike and I’ll put up photos with a few words of explanation. Sometimes I do actually get out for a ride though, so there should be a ride report once in awhile. This one is currently getting a beautiful finish at Spectrum Powderworks. When it comes back, I’ll post photos of the assembly process and the finished machine. 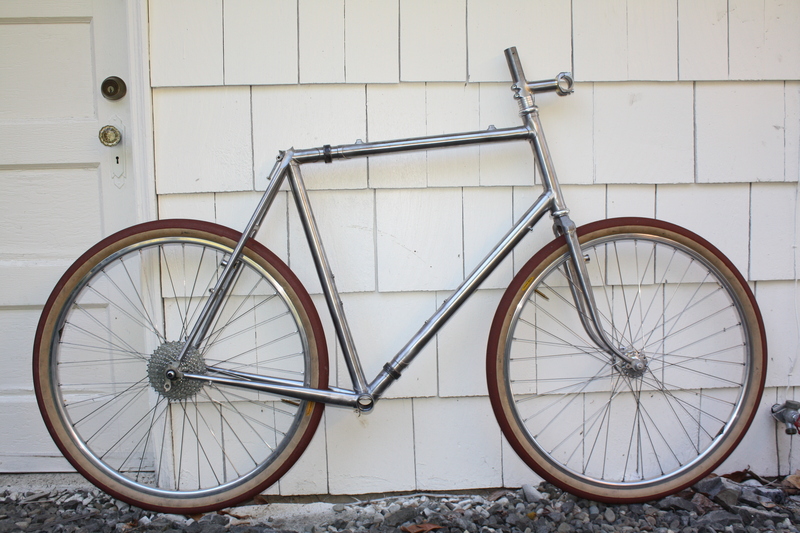 This entry was posted on October 11, 2012 by Thompson Custom Bicycles. It was filed under Uncategorized .